Revolution Slider Error: Slider with alias about-pollogen not found. We believe in constantly challenging ourselves to create the most advanced, effective medical devices & solutions for the esthetic market. We believe in thinking differently. 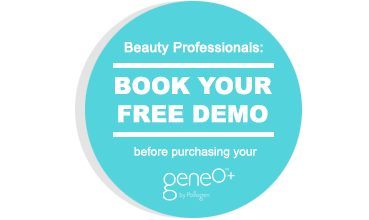 Geneo+™ Technology is developed by Pollogen Ltd. In everything we do, we take a customer-centric approach by making our products user-friendly, safe and convenient. At Pollogen there is no such word as “done”; we continually perfect our solutions to provide treatments that are pleasant and effective. We believe in finding ways to develop technologies that work with the body’s natural mechanisms so beautiful results are generated from within. Pollogen is the developer and manufacturer of five revolutionary technologies under the industry premier brand names OxyGeneo™, Hybrid Energy™, and MyPollogen™ Face & Body Treatments (powered by TriPollar®, TriLipo® and TriFractional™). We offer a full line of clinically-proven, safe and effective, non-invasive anti-aging facial and body contouring treatment platforms for a wide range of aesthetic applications. Pollogen provides solutions for professionals in over 60 countries, addressing the specific needs and dynamic changes unique to the ever-evolving aesthetic industry. Dr. Azar co-founded Pollogen and has served as its Chairman since its inception. He previously co-founded Radiancy Inc. and served as a CEO from 1999 through 2005. Prior to this, Dr. Azar founded PolyOptics Ltd., a solid state dye laser company, and served as Head of the Department of Atmospheric Optics at the Soreq Nuclear Research Centre. Dr. Azar holds a Ph.D. in Physics from Tel Aviv University. Mr. Bar-Nir joined Pollogen in December 2010. Mr. Bar-Nir has extensive experience in leading companies through the transition from small to large scale production. Prior to joining Pollogen, Mr. Bar-Nir served as the CEO of CogniFit, a software company that specializes in programs that assess and train cognitive abilities. Previously he was the CEO of B-Plan, a company that develops business planning tools. Mr. Bar-Nir has a BA in Economics and Business Administration from Haifa University. Prior to joining Pollogen, Mr. Shneor served for six years as a Senior Manager at Ernst & Young, where he was focused on international hi-tech Nasdaq-traded corporations. Mr. Shneor is a Certified Public Accountant (CPA) and holds an MBA from Tel Aviv University. Prior to joining Pollogen, Dr. Barki held various key clinical positions for major medical and aesthetic device companies in the industry. Her responsibilities included preparing and running clinical trials, developing educational and training tools, establishing contacts with leading physicians and clinics worldwide, as well as involvement in research and development of new products and applications. Dr. Barki is well-known for her expertise in medical aesthetics and has consistently provided the industry with valuable research and clinical data. Dr. Barki received her Ph.D. in Human Microbiology from the Tel Aviv University School of Medicine. Mr. Gurevitch joined Pollogen in 2008, and brings with him over 30 years of experience in sales. Prior to joining Pollogen, Mr. Gurevitch served as Vice President of Sales for Europe and Asia at Radiancy Ltd., a medical aesthetic company. Previous to this, he served Director of Sales Europe at Sunlight Medical. Mr. Gurevitch has extensive managerial experience and specializes in managing worldwide distribution networks. Mr. Gal has over 15 years proven worldwide sales and business development experience, strategic planning and management of global accounts within the medical and aesthetic product industries creating new high-growth business opportunities resulting in expanded sales activities, turnover and revenues. Prior to joining Pollogen Ltd., Mr. Gal served as Distribution Manager for Latin America at Cutera Inc. (USA), VP Global Sales at SharpLight Ltd., Executive Vice President of Sales for Europe and Latin America at Syneron Medical and Director of Sales at UltraShape Ltd.
Ms. Litinsky joined Pollogen in 2006. As vice president QA and Regulatory Affairs she is responsible for all company and products certifications as well as regulatory approvals. Prior to joining Pollogen Ms. Litinsky worked at Radiancy, an aesthetic company specializing in hair removal. Ms. Litinsky has anB.Sc in Materials science engineering from the Ben-Gurion University of the Negev, Israel. Mr. Rousso joined Pollogen in 2008, and is responsible for Technical Support Services. He has over 10 years of experience in Telecom & Medical device Maintenance, Management and Field Support services. Previously, Mr. Rousso was the Global Customer Service Manager for Radiancy, a leader in the aesthetic and medical market. Prior to Radiancy, he was Technical Support Team Leader with Initia / Direx Medical Systems. Mr. Rousso holds a Bachelor’s degree in Electricity & Electronics from The University Centre Of Samaria, Ariel, Israel. Tal Shmueli has joined Pollogen in 2012, with over 20 years of proven executive management experience in the areas of R&D, Customer Support and Product Management. Before joining Pollogen Mr. Shmueli was the VP of R&D in Nova Measuring Instruments LTD (NASDAQ: NVMI), a leading provider of metrology systems for process control for the global semiconductor manufacturing industry. Prior to Nova, he was the Director of product management in MDG Medical, and in Hexagon Metrology. Mr. Shmueli holds a BSc in electrical engineering from the Technion. Ms. Dovev has over 10 years of Global Marketing and Advertising experience in both B2B and B2C companies. Ms. Dovev spent 6 years at Radiancy, where as a member of the senior management team she spearheaded marketing and branding activities for both the professional and consumer markets worldwide. Ms. Dovev also held marketing management positions at the ELCO Group in the Philips Lighting division and Orbotech. Prior to that she worked for two leading advertising agencies in N.Y.
Pollogen is committed to the safety of its customers and to product excellence. Pollogen products are sold in over 60 countries and adhere to strict international and national regulatory and quality assurance standards. Contact Pollogen to receive information about FDA, CE Mark and ISO documentation. Experience the OxyGeneo™ Super Facial.